Houston is another top private jet charter city; it’s the largest city in Texas and the fourth-largest in the United States. Due to its location in Southeast Texas near the Gulf, the metroplex enjoys a subtropical climate. The greater Houston Metro region goes by three names Houston, The Woodlands, and Sugar Land. This metro region comprises the 5th largest metropolitan area in the United States. Houston is the home of the Texas Medical Center, the world’s biggest real area of healthcare and research institutions. Nearby, is NASA Mission Control located in Southeast Houston at the Johnson Space Center. Nicknamed the “Space City,” Houston is additionally a global commerce center. 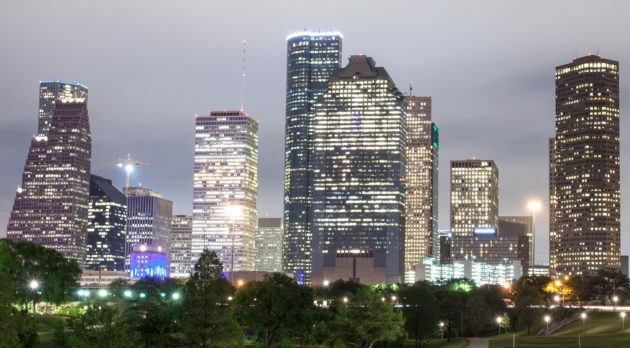 Houston’s economy is a ranging industrial base of energy, manufacturing, aeronautics, and transportation. Second only to New York City as the home of the most Fortune 500 headquarters within its city limits. The Port of Houston ranks first in the US for international cargo handled. Houston is the most diverse town in Texas and is one of the most diverse places in the United States. It is the home of many cultural institutions and exhibits, which attract more than 7 million visitors a year annually to the museum district. In 2017 Houston was the host of Super Bowl 51 at NRG Stadium. George Bush Intercontinental, IAH is an international airport in Houston, Texas, serving the Greater Houston metropolitan area. Located 23 miles north of Downtown Houston, KIAH is a busy commercial airport with scheduled flights due to many domestic and international destinations. The airport, named after George H. W. Bush, the 41st President of the United States and a longtime Houston resident. With 5 Runways ranging in length from 9,000 ft. to 12,001 ft.; IAH can meet the takeoff and landing requirement of any size aircraft. Intercontinental is a busy commercial airport with scheduled flights taking priority over private jet charter for takeoff and landing slots. There are two FBO (Fixed Base Operators) on-site at KIAH to meet the needs of private charter jets arriving and departing here. Finally, Customs is also here to serve the needs of international travelers. William P. Hobby Airport is another international airport in Houston, Texas. This airport is located 7 miles from downtown Houston and is the closest to the city center. HOU is Houston‘s oldest commercial airport and was previously the only commercial airport. The newest is Houston Intercontinental Airport, now George Bush Intercontinental, that opened in 1969. KHOU is a secondary airport for domestic airline service and is the regional center for corporate and private aviation aircraft. With four runways, the longest at 7602 ft., and two shorter runways at 6000 ft., and 5402 ft., this makes HOU an excellent choice for business jets. With on-site customs and Five FBO’s offering services for private aircraft, this airport is a natural choice for private jet charter. Ellington Airport, Formerly Ellington Field is open to the public and shared with the military and NASA. Owned by The City of Houston, the airport is 17 miles southeast of downtown Houston. EFD or KEFD is another designated general aviation reliever airport. Notably, EFD has no commercial scheduled flights and has 3 active runways, the longest at 9,001 ft. KEFD is close to NASA Johnson Space Center, the Houston Spaceport and has one FBO for private jet arrivals and departures. Like EFD, Sugar Land Regional Airport is a city-owned public-use airport. Located in the city of Sugar Land, 17 miles southwest of the central business district of Houston. Formerly Sugar Land Municipal Airport and Hull Field SGR is the fourth largest airport in Houston. Another FAA designated reliever airport for Houston Hobby, and the host of many Fortune 500 corporate and executive aircraft. KGSR has one runway at 8,000 ft. in length and one FBO for private aircraft services. The airport is open from 5:00 am to 11:00 pm daily and US Customs is onsite with daily hours and after-hours appointments on request. David Wayne Hooks Airport KDWH is a public-use airport located in Harris County, Texas. The airport is 23 miles northwest of the central business district of Houston. This airport is notable as the busiest general aviation airport in Texas and is among the busiest general aviation airports in the US. Privately owned, it is one of the few private airfields that features a FAA control tower. DWH covers an area of 480 acres containing two asphalt paved runways. The longest one is 7,009 ft and the second shorter runway is 3,987 ft. KWDH also features a seaplane landing area designated as the third runway at 2,530 ft. With two FBO’s on-site, it is one of the popular private jet charter airports serving Houston and The Woodlands. Houston Executive Airport originally opened in 2007 under the FAA identifier of 78T. Located 32 miles west of Downtown Houston by car, TME airport covers an area of 1,900 acres. The primary runway is asphalt paved and is 6,610 feet long. Private jet charter amenities at KTME include hangar space, Wi-Fi internet, crew lounge, rental cars, and 24-hour a day service. Conroe-North Houston Airport or CXO, formerly known as the “Lone Star Executive Airport” is another public-use airport owned by Montgomery County. CXO, located 37 miles north of Houston’s central business district is another public use facility. This airport previously used the name Montgomery County and is located in Conroe Texas. KCXO covers an area of 1,277 acres and contains two runways. The longest is 7,501 feet and a second shorter runway at 5,000 ft. The runways have concrete surfaces, and there are 3 FBO’s for charter jets. U.S. Customs is on-site with daily hours, and after-hours are available by appointment. Houston-Southwest Airport is a privately-owned airport located southwest of Houston’s central business district. Located 15 miles away in the City of Arcola, this is another public-use airport like CXO. AXH covers an area of 165 acres and contains one asphalt runway with a length of 5,003 ft., suitable for private planes. KAXH has one FBO on-site for fueling and services and is open 24 hours a day. Private jet charter rates to Houston examples are based on roundtrip travel returning next day. Prices (USD) can be used as a reference. Your rate will depend on your travel requirements and aircraft availability. Prices on private charter flight quotes will include all taxes and fees. When chartering a private jet to Houston call JetOptions Private Jets, email our Charter team for your no-obligation quote and experience our difference today!